​A group of astronauts-in-training encounter adventures throughout the solar system as they compete for a spot on the first manned mission to another galaxy. Throttle to LightSpeed! In a future golden age of space exploration, the LightSpeed Pioneers is the premiere training program of the solar system's teenage astronauts-to-be, who match their wits and wills as they ready for voyages to other worlds. Simulated dangers become all too real, however, after a crash landing on Mars strands Centauri Squad on the wrong side of the planet, where they'll have to think fast-- and use their science know how-- to survive the red planet's ever-mounting dangers. 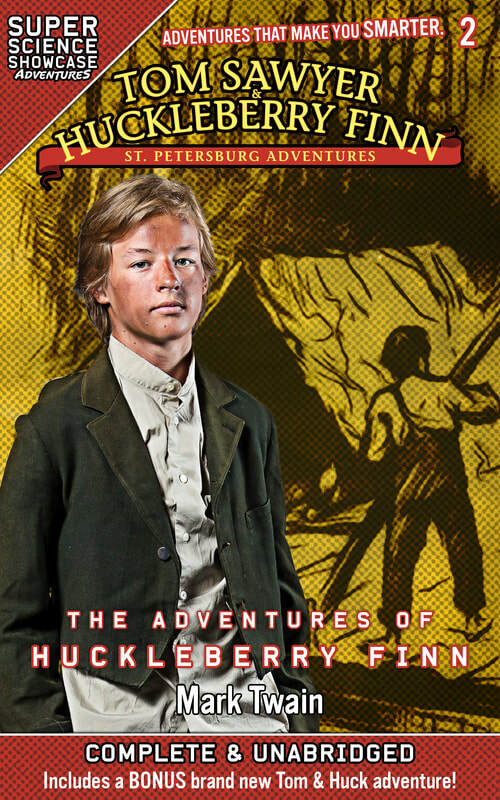 ​Also features articles highlighting the real-science facts touched on in the story throughout the book, presented by the Super Science Showcase staff! Bathsheba is engulfed in war! The alien world's twin moons, Sheeva and Tito Fron, have feuded for millennia. Even separated by the impenetrable Hyper Wall--a vast cosmic energy barrier erected by ancients-- their conflict continues. The neutral grounds of Bathsheba are now the frontlines, engulfed in flame and bloodshed, the records and relics of its ancestral civilizations lost, their secrets buried in the ire of war. 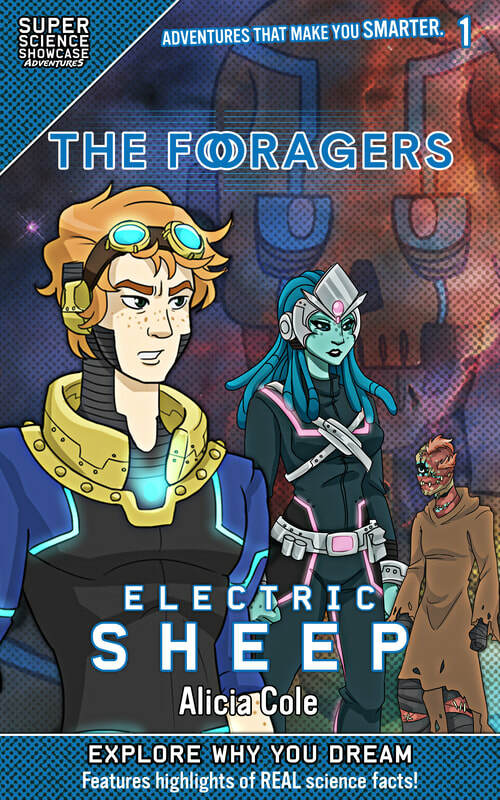 Enter The Foragers, a motley band of preservers and adventurers from Earth and beyond. They dare the trenches in search of these lost treasures, questing for the secrets behind the arcane technology that powers the mighty Hyper Wall. 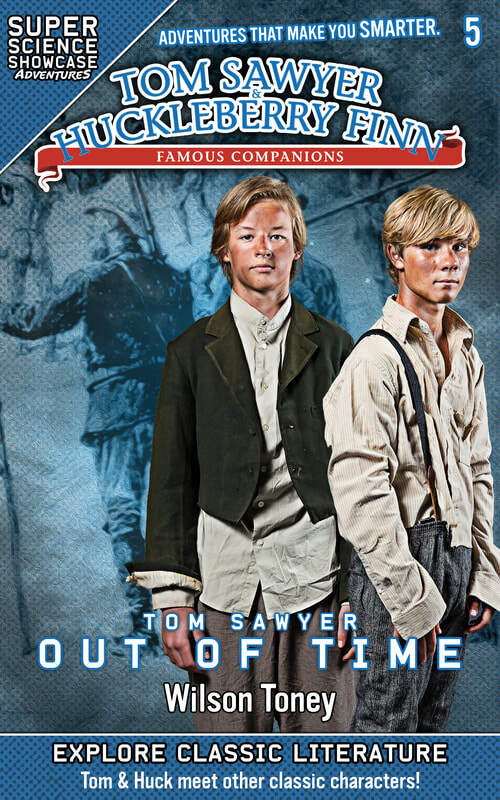 From the deck of The Quatermain, human twelve year-old pilot and synthetic prodigy Cavalier Martin, along with his archaeo-astronomer father Lennigen, leads a crew of ETs and AIs to the far reaches of this embattled galaxy. Utilizing The Caller--a dimensional gateway--the Foragers access the legendary Quantum Closet--the dimension inside the Hyper Wall--where they base their relic hunting operation. The Foragers use this advanced technology--synthesized by The Quartermain’s onboard, intuitive biocomputer Wise Drive--to hop between the feuding moons with unprecedented ease. But their presence is a dangerous one. Warlords on both sides, coveting its strategic advantage, will stop at nothing to capture their mysterious technology, while scavengers, bounty hunters, and other cosmic misfits sense perverse power in the mystic relics of their clandestine collection. After a mysterious energy flux detected on Bathsheba affects the Wise Drive and The Foragers' robotic protector Gizmo on The Quartermain, the team sets out to find what's causing it. But after they uncover an elaborate artificial afterlife that's been safely-buried for over a millenia, they realize they might have fallen for a trap that could put the entire galaxy in danger. 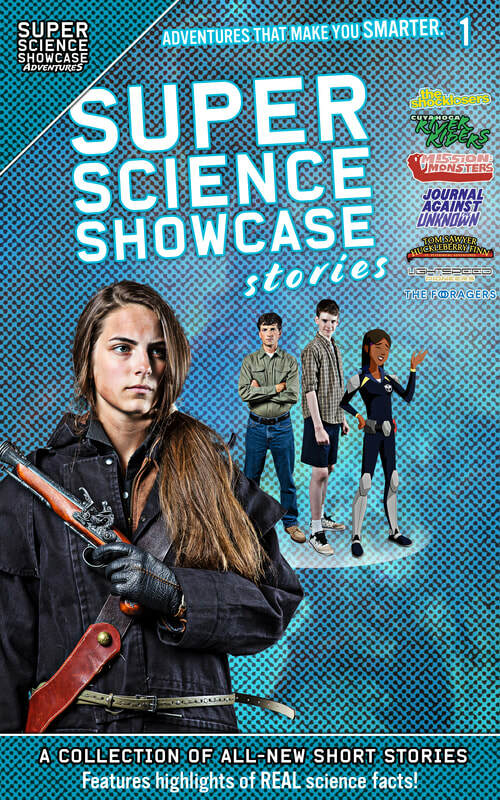 Also features articles highlighting the real-science facts touched on in the story throughout the book, presented by the Super Science Showcase staff! 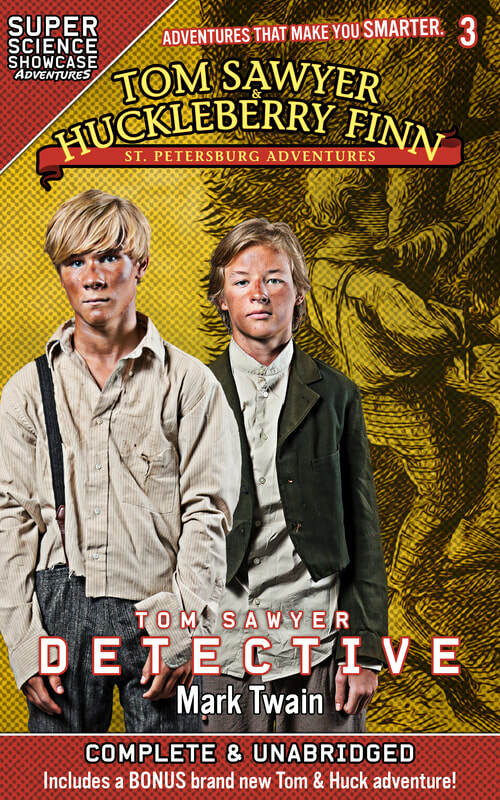 ​Mark Twain's classic best friends are back for more adventures in early-19th Century St. Petersburg, Missouri. 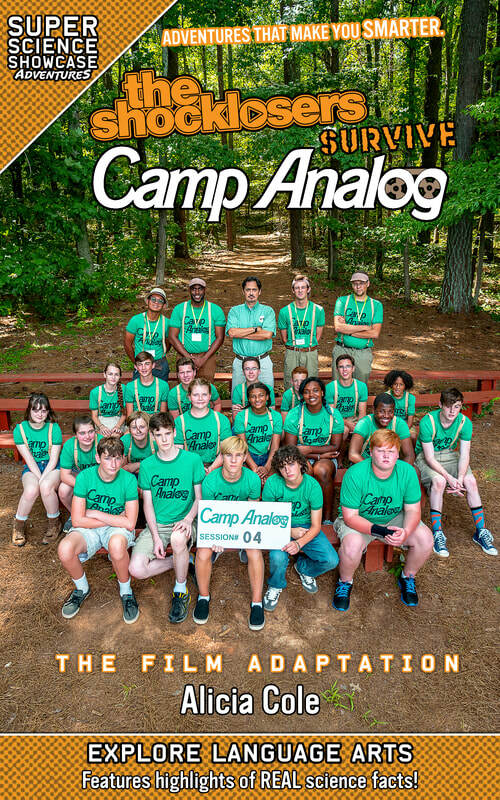 Exclusive short stories featuring your favorite Super Science Showcase adventurers! The Adventures Continue! 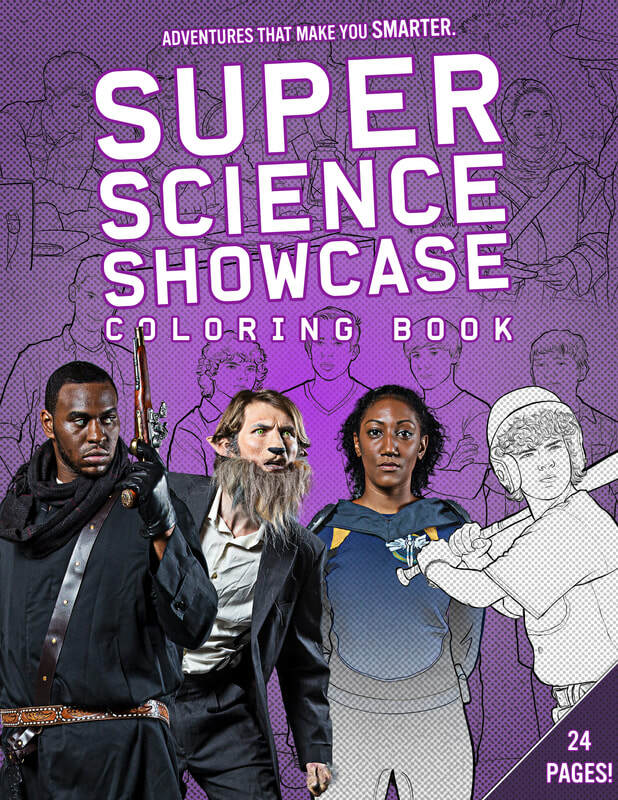 Join your new favorite heroes from Super Science Showcase in this exciting collection of short stories and novel previews! 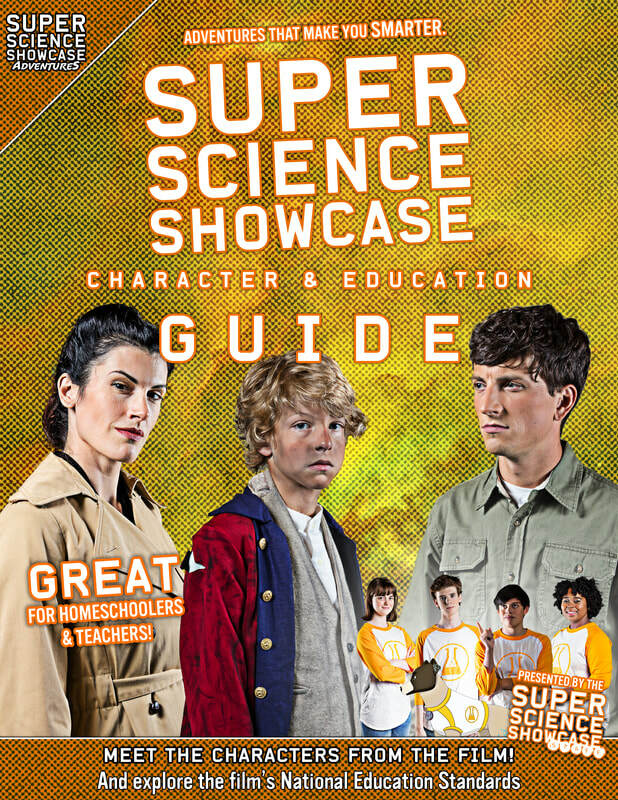 Also includes true-science articles from the Super Science Showcase Staff. 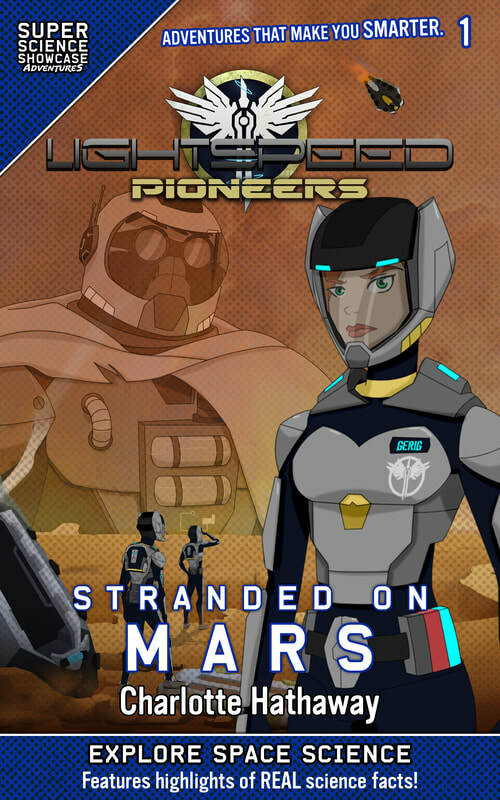 Includes previews from LightSpeed Pioneers: Stranded on Mars and The Foragers: Electric Sheep, as well as five brand new short stories! The Shocklosers Make a Monster Movie - While making a purposely bad horror movie for their Youtube channel, the Shocklosers' suspect Caleb is taking things a little too seriously. 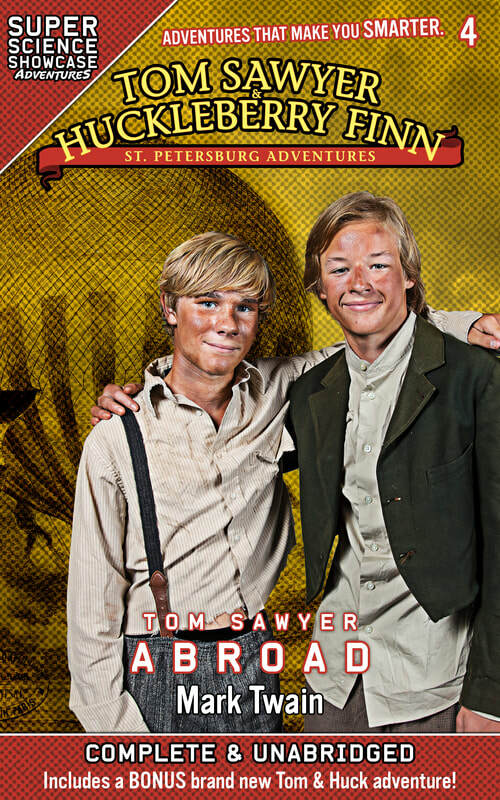 Cuyahoga River Riders: Thunderbird's War - Thunderbird must survive a dangerous journey to bring an infant to its relative in the heart of the Revolutionary War. 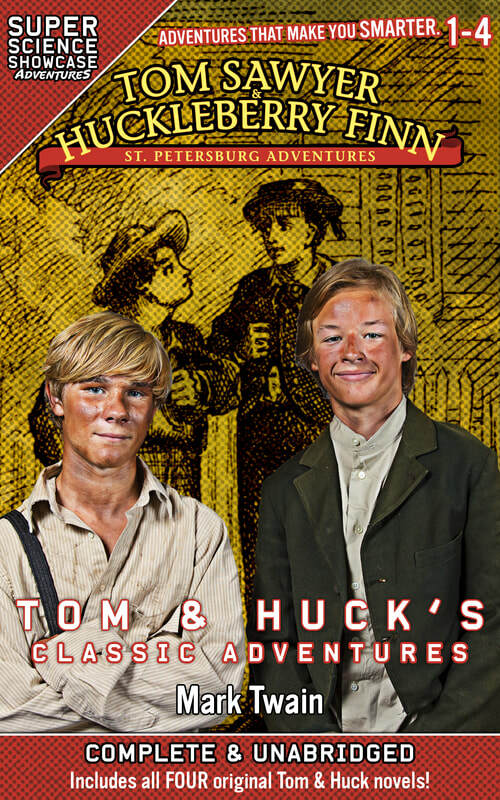 Tom Sawyer & Huckleberry Finn: St. Petersburg Adventures: Tom Sawyer's Luck - While in Arkansas, Tom and Huck make an impossible bet they scramble to win before losing the rest of their summer to chores. Mission: Monsters: The Inhuman Zoo - Mason and private detective Valerie Sodecko are tasked with investigating a zoo for human-like animal creatures (called "Others"). Journal Against the Unknown: What's at Stake - Archaeologist John Patton Jr. and his graduate student assistant rush to the aid of a friend in Colorado to preserve Ancient Puebloan artifacts at risk of being hidden from the public, but they aren't prepared for an altercation with their antagonist.